and specific program development in the areas of research, rehabilitation services, vocational services and child care. In most cases, we develop a long term relationsip with the organization, helping each cleint with several of the above requirements. Overall strategies are strengthened as they are integrated throughout plans, communciations, budgets, resourcing strategies and performance management systems. We excel at bringing stakeholders together to find common ground and act together towards delivery of shared outcomes. 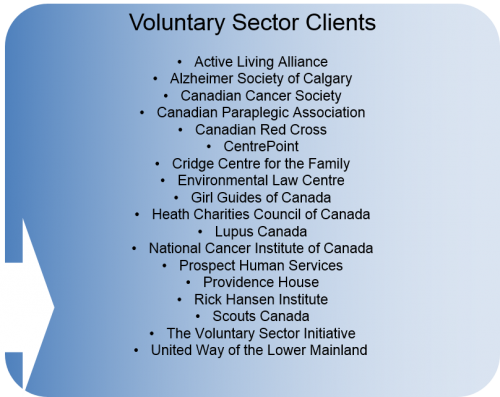 Examples include: Alberta’s Disability Strategy, the national initiatives of the Rich Hansen Foundation, the Health Charities Council, the Active Living Alliance, and the Canadian Cancer Control Strategy. 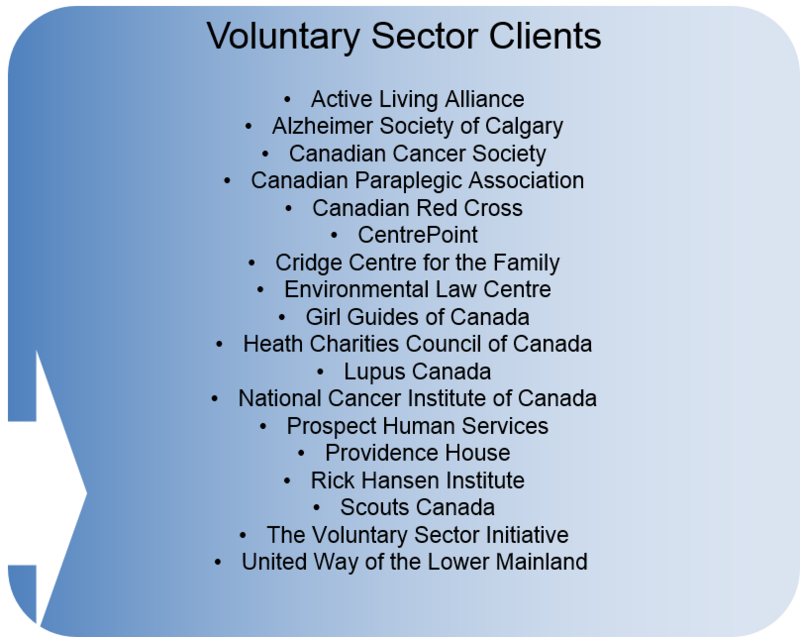 Our partners have extensive personal voluntary sector experience over and above the work listed in the box below. 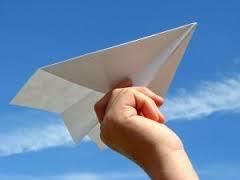 We have served on many boards and understand the shifting realities of the non-profit world.